James’ fourth voyage aboard the Duke of York took him to exotic places such as Barbados, St Vincent and Grenada. 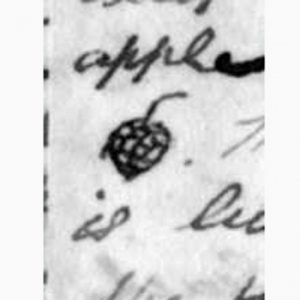 Here he tasted delicacies such as Alligator Pear [avocado] the taste of which he likened to icecream and “a fruit called the Mangoe” which “was subjected to the gustatory papillae of my tongue”. He encountered slaves, feral dogs, Turkey Buzzards, Vampire Bats and Fire-flies. He describes hotel-keepers Betsy Austin and Hannah Lewis who are mentioned in many literary works of the early 19th century so must have earned themselves quite a reputation.